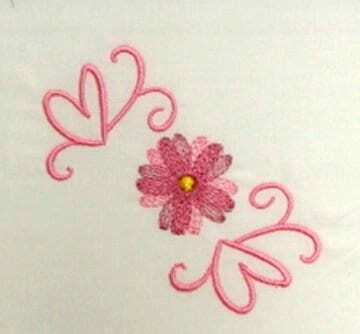 This embroidery design features two hearts flourishes with a multi-colored, ripple flower in the center. In addition a small light and airy design which sews out quickly. Fits the 4×4 hoop.